How do you provide for your financial future safely? 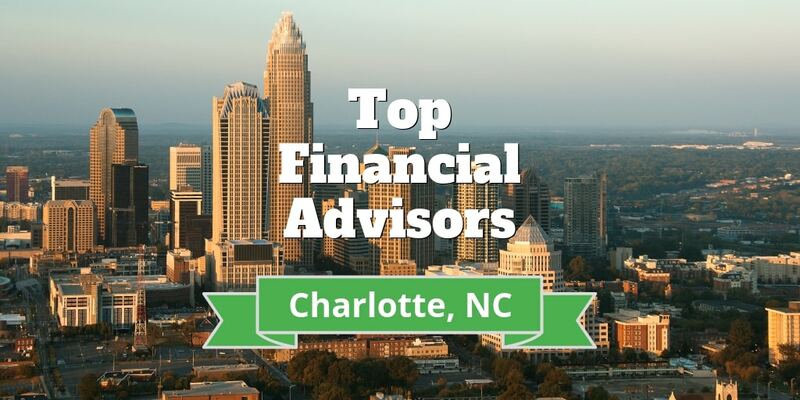 We researched the best financial advisors in Charlotte, North Carolina so you don’t have to and ranked them by the size of assets under management. Our goal is to make your financial life easier by offering you the facts about the best advisors in your area. Only firms that manage individual assets for clients and are registered with the U.S. Securities and Exchange Commission (SEC) are listed in this review. Here is our list of the best financial advisor firms based in Charlotte. Is Bragg Financial Advisors Right For You? Is Carolinas Investment Consulting Right For You? Is Queens Oak Advisors Right For You? Carroll Financial Associates, Inc. is the highest ranking firm in this list based on assets under management. The firm manages assets exceeding $2 billion. Featuring 25 financial advisors, the firm charges clients fees for its services. Out of its 25 advisors, 18 qualify as Certified Financial Planners (CFPs). Plus, the firm employs Certified Financial Analysts (CFAs) and Certified Investment Management Analysts (CIMAs). It also employs a Certified Public Accountant (CPA) and a Certified Divorce Financial Analyst (CDFA). In exchange for receiving expert advice, you will need to have a minimum amount of money to invest. However, the required figure is not set in stone but is instead based on the kind of account you wish to establish. In addition to financial advice, you may purchase various types of insurance policies. As a fiduciary, Carroll Financial Associates, Inc. is legally bound to provide appropriate advice that is in your best interests. After nearly four decades in the financial industry, Larry Carroll founded the firm. Forbes has included him on a list of the top 200 wealth advisors in the United States. Mr. Carroll acts as the firm’s Chief Executive Officer (CEO) as well as its Chief Wealth Strategist (CWS). Kristopher Carroll, Larry’s son, owns the firm and provides his services as the Chief Investment Officer (CIO). Once you open your account at Carroll Financial Associates, Inc., a specific team is assigned to take care of your financial requirements. You don’t need to worry about investing in risky ventures. The strategies employed are based on diversification and your ability to tolerate risk. Plus, your account is evaluated twice a month to ensure that your goals are being met and that your portfolio is balanced in a beneficial way. If you have a minimum of $1 million to invest, you may want to open your investment account at Bragg Financial Advisors, Inc. Employing various teams of financial advisors, the firm primarily handles assets for high net worth private clients. More than 50% of the clients at Bragg Financial Advisors, Inc. are high-net-worth individuals. In addition, the firm manages pensions, profit-sharing plans, investment company assets and investments for various charities. You will need to pay a commission each time your advisor makes a trade in your portfolio. In addition, an advisor may try to sell you an insurance policy. However, you’re protected because Bragg Financial Advisors, Inc. is a fiduciary that is legally obligated to act in your best interests. Frank Bragg Jr. founded Bragg Financial Advisors, Inc. in 1997. Benton Bragg, Phillips Bragg and John Bragg III are the firm’s current owners. Offering you the chance to learn about how to plan your retirement or college plan, the firm also provides advice about donating to charitable organizations. If you have a profit-sharing plan at work, your advisor can offer advice about your investments. And if you decide to open an account with Bragg Financial Advisors, Inc., you will have the chance to create an investment portfolio that complements your financial objectives. You can choose one of the seven portfolio models, including both aggressive and conservative investments. A conservative portfolio emphasizes investments in equities and bonds offering dividends. When you invest at Bragg Financial Advisors, Inc., an advisor will strive to find the right asset allocations for your portfolio. This firm is not for you if you want to participate in day trading. Emphasizing investing for the long term, the firm’s financial advisors want clients to hold on to their investments for a minimum of one year. Colony Family Offices, LLC is a fee-only firm. The company registered with the SEC in 2013. If you are a high-net-worth individual, Colony aims to provide the ultimate in service. You must have at least $10 million to open an account. Generating more than $1 billion in managed assets, Colony Family Offices, LLC is owned by Eric D. Ridenour. Mr. Ridenour is the current managing director of the firm. The firm’s team consists of Certified Public Accountants (CPAs), Certified Financial Planners (CFPs) and Chartered Financial Analysts (CFAs). In addition, the firm now offers clients an estate planning service under the name of Colony Trust Company. If you are eligible to open an account, count on owning an investment portfolio that includes both passive and active investments. The portfolios are focused on growing your money for several years. However, an official statement mentions that the firm’s financial advisors recommend short-term investments if they protect portfolios from severe market volatility. Your financial advisor may suggest that you own a wide array of investments, including mutual funds, hedge funds, stocks and bonds. Additionally, your advisor can help you allocate your assets and provide you with research about investments. If you are looking for a fee-based financial firm that does not just cater to wealthy individuals, you may want to open an account with Carolinas Investment Consulting, LLC. You can get started with a minimum investment amount of $25,000. The company employs 19 financial advisors. Like other advisors on this list, the company has a fiduciary responsibility to help you achieve your financial goals. This firm was founded in 2000 by George Edmiston Jr., who still owns the company today. The firm’s team consists of financial advisors with an average of 20 years of experience each. The firm’s clients include private individuals, married couples with children, entrepreneurs and charities. You can find various services if you decide to invest with Carolina Investment Consulting, LLC, including making plans for your retirement and your estate. You have the option to open various insurance policies too. The firm is looking for committed, long-term investors. If you open an account, your advisor will assist you in choosing the right asset allocations to serve your purposes. Plus, your advisor will consider your ability to tolerate risk. If you invest with Carolinas Investment Consulting, LLC, your advisor will assist you in creating an investment portfolio that includes short-term investments offering liquidity. You must have a minimum of $10 million to invest if you want to open an account with Biltmore Family Office, LLC. Even though the firm focuses on high-net-worth individuals, the company is also keen on helping families build wealth. You will pay a fee if you invest with this firm. That will give you have access to a Certified Financial Planner (CFP), Chartered Alternative Investment Analyst (CAIA) and Certified Public Accountant (CPA). Biltmore Family Office, LLC was founded by Chris Cecil in 2008. Mr. Cecil is the current CEO. The staff consists of advisors boasting an average of 22 years of experience each in the financial field. The firm’s clients consist of individual investors, charities, estates and corporations. If you have a family, you may want to take advantage of the firm’s budgeting assistance and estate planning service. At your first advisory meeting, an advisor will walk through your financial requirements. Next, an experienced advisor will decide how to allocate both passive and active investments in your investment portfolio. Your advisor will strive to base these investments on your personal financial strategy. Your investment plan may include exchange-traded funds (ETFs), securities and mutual funds. Consider your option to open an account with Novare Capital Management if you have $500,000 to invest. That high minimum is accompanied by the utmost in personal attention and services. Of course, these benefits come with fees. Featuring a team consisting of four Chartered Financial Analysts (CFAs) and six Certified Financial Planners (CFPs), the advisor firm also has a Chartered Financial Consultant (ChFC) on its staff. The Financial Times named Novare Capital Management as a top financial advisor firm in June 2017. William Baynard Jr. and Don Olmstead founded Novare Capital Management in 1999. They currently own the advisory firm along with The Baymen Group, LLC as a trusted partner. You can take advantage of creating a trust fund, an estate plan or a college tuition account for your child, as well as regular retirement services. Investments are designed to minimize taxes. The firm has clients consisting of private individuals and corporations. At Novare Capital Management, financial advisors are required to wade through a comprehensive six-step process to develop your financial plan. You will have the opportunity to work with your financial advisor every step of the way. Together, you and your assigned advisor will make important decisions about your personal strategy, risk tolerance and time frame for investing. You will also create the right asset allocation mix for your investment portfolio. At Novare Capital Management, your portfolio will consist of diversified investments divided among a variety of asset classes. Your investments will include preferred stocks, ETFs, bonds and mutual funds. Your portfolio may also include investments in master limited partnerships, real estate and private equity companies. Your financial advisor may also ask you if you want to include hedge funds in your portfolio. This combination of services ranks Novare Capital among the top financial advisors in Charlotte, North Carolina. If you’re searching for an investment firm catering to individuals, Hayden Royal, LLC may be right for you. Hayden Royal, LLC offers investment management services that include aspects related to financial planning. According to the firm’s official policy, it determines each investor’s financial situation before creating an investment plan. The firm has limited financial services but can still include advise about planning for your retirement, and offer a detailed analysis of your insurance coverage plus develop a plan for your general cash flow. In 2014, Hayden Royal was founded as a limited liability company (LLC). The company relocated to North Carolina in 2018. The firm manages assets exceeding $620 million. The ownership consists of Jeffrey Hines, Douglas Brown and Louis Dworsky. A few of the firm’s representatives are licensed to sell insurance policies and are entitled to earn commissions from these sales. The firm’s management team states that Hayden Royal, LLC has a strict policy that the firm must inform clients about monetary compensation earned by its sales force. Failure to disclose the form of compensation will negate a transaction. Clients are not obligated to pay commissions in such cases. Hayden Royal, LLC provides clients with innovative services. If you are a client, the firm’s advisor will help you create a personal portfolio that matches with your particular aspirations and risk tolerance. The company conducts private research and its own investment portfolio models to help you make decisions. Plus, the company also offers an OCIO concierge service. If you want to take advantage of this special service, you will have the chance to work with Maven Asset Partners. As a firm that is officially registered with the SEC, Queens Oak Advisors does charge fees for its financial services. It offers you the chance to develop a sound financial plan. Plus, you can experience portfolio management even if you are a private investor. Managing assets totaling more than $570 million, Queens Oak Advisors predominantly caters to high-net-worth individuals. Unlike some of the other firms on this list, Queens Oak Advisors does not exclusively seek out clients who have more than $10 million to invest. You can open an account if you have at least $1 million. Founded in 2009, Queens Oak Advisors has always been a fee-only firm so the firm does not sell products to its clients. Furthermore, team members at Queens Oak Advisors do not earn commissions even if they suggest various financial products to clients. Instead, the firm has a policy for collecting asset-based financial compensation according to specific services offered to various clients. The firm employs a Certified Divorce Financial Analyst (CDFA) and five Certified Financial Planners (CFPs). From our research, it seems that Queens Oak Advisors cares more about active investing than some of the other financial advisor firms on our list. The company posts its basic philosophy on its official website, stating that it offers superior risk-adjustment performance by performing better than its peers and the stock market’s benchmark. The firm states that it is able to accomplish its goals because it implements an all-inclusive approach to investing. If you open an account with Queens Oak Advisors, you will experience a method seeking to integrate your personal financial goals with your tolerance toward risk. Your plan will include equities, bonds and alternative investments. Your portfolio will also include cash as part of your investment strategy. In addition, investment portfolios will consist of institutional equities and fixed income along with allocations in global investments. McShane Partners offers investors the chance to create investment portfolios driven by research. Advisors help clients in their endeavors to create and manage wealth. The company manages assets totaling nearly $500 million. McShane Partners does not require you to have a specified amount of money when you open an investment account. However, you will need to pay a hefty fee for the firm’s asset management services. If the minimum $10,000 asset-based fee is not too much to pay on a yearly basis, then you may find that this advisor firm is an asset in your effort to produce a greater amount of wealth. McShane Partners was registered in North Carolina as an investment advisory firm in 1985. The company was also founded in the same year. The firm consists of several financial advisors, including Certified Financial Planners (CFPs), Chartered Financial Analysts (CFAs) and Certified Public Accountants (CPAs). The team also has a Financial Paraplanner Qualified Professional (FPQP) and a Certified Divorce Financial Analyst (CDFA) on its staff. The advisors offer professional advice to individual investors and charities. McShane Partners has a goal to provide clients with all-inclusive financial planning services. Additionally, the advisor firm provides portfolio management services. Our research shows that the company has a portfolio manager and a wealth advisor on its team. Another positive aspect attributed to McShane Partners is that the firm does not rely solely on outside research when making decisions about investments. Instead, the company has a proprietary method to make research more relevant to each investor. If you open an account with McShane Partners, expect to have a diversified investment portfolio consisting of stocks, bonds, ETFs and a variety of mutual funds. Your portfolio may also include alternative investments. The firm also takes advantage of the financial wisdom offered by outside management teams if their opinions happen to match a client’s personal goals. Another aspect of McShane Partners that is different from other firms is that the company wants investors to invest in socially responsible investing (SRI). If you are interested in sustaining the environment, then McShane Partners may offer you a chance to invest in alternative funds that meet with your complete approval. Laurel Wealth Advisors, LLC (LWA) is an advisor firm that is registered with the SEC. The company offers its financial services to individual investors, businesses and charitable organizations. You are not required to have a minimum amount of money to establish an account with this advisor firm. The company’s management team handles assets of over $400 million. These assets are managed by a team consisting of seven members. LWA was founded in 2007 and is currently owned by Chief Compliance Officer William E. Sugg IV, Mark S. Thompson, Timothy M. Breedlove and David W. McNeish. The advisory team at LWA is legally bound to act in your best interest because it is a fiduciary. The firm’s advisors do not receive commissions when they recommend specific investments. Plus, the advisors do not receive additional monetary compensation for making trades in a client’s investment account. Nevertheless, some of the firm’s financial advisors are entitled to receive commissions from selling securities. If you hold an account at Laurel Wealth Advisors, you will work with an advisor who helps you reach your financial objectives. Your advisor will also determine your ability to tolerate risk prior to selecting investments for your portfolio. Investments are allocated based on the principle of diversification. Your portfolio will include both ETFs and various types of mutual funds. It may also include stocks, options contracts and bonds. You can also put in a request asking for financial planning services, including how to plan for your retirement, how to save money and how to set up a college fund for your children. After you narrow down your selection based on the required initial investment amounts, the next step is to choose a financial advisor that can meet your needs. You have many choices when trying to make important decisions about your investments. Plus, you may want to think about whether you wish to establish various insurance policies or simply open an investment account. Decide whether you want to help your advisor choose various stocks, mutual funds and ETFs or if you want the advisor to select all the investments. Your goal is a major factor. Do you want to set up a retirement account for yourself or a college investment fund for your child? Do you have specific preferences about the types of investments you want to own in your portfolio? For instance, do you want to own alternative funds? Investing largely involves personal choices. Your decision to choose one financial advisor over another depends on your financial goals. Note that all of the advisors on this list have more than their share of credentials and experience in the financial industry. If you still harbor doubts, you can always arrange to meet with a few advisors before making your decision.